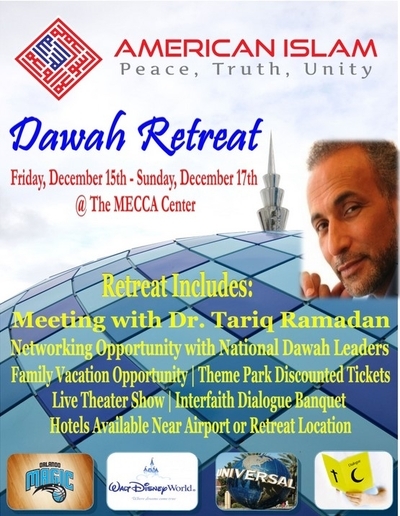 Islamist celebrity-scholar Tariq Ramadan is the star attraction at the weekend-long American Islam Dawah Retreat in Orlando. Judging from the immediate Facebook reaction to the program's announcement, many Muslim women are not happy about it. Ramadan, an internationally known Islamic scholar and grandson of Muslim Brotherhood founder Hassan al-Banna, is among the prominent men accused of sexual harassment and assault in the wake of the Harvey Weinstein scandal. At least four women have come forward, prompting Oxford University to place him on a leave of absence. Ramadan's womanizing was well known, former French Interior Ministry official Bernard Godard told the French magazine L'Obs last month. The allegations have barely registered a blip among American Islamists, so the invitation may not come as much of a surprise. Muslim women, however, are not as hesitant to express themselves. A couple posted emojis of someone vomiting. The following comments were posted in response to a Facebook page promoting the event. The Facebook page appeared to have been taken down Monday afternoon.